Historically a fishing village governed by Portuguese colonists, Tofo has become a top destination for adventurers, divers, and marine life lovers. Start off your visit on the 26th (Mon): enjoy the sand and surf at Bazaruto National Park. Here are some ideas for day two: enjoy the sand and surf at Praia do Tofo and then tour the pleasant surroundings at Marine Megafauna Foundation. For reviews, where to stay, maps, and tourist information, refer to the Tofo trip planner . Melbourne, Australia to Tofo is an approximately 29-hour flight. Traveling from Melbourne to Tofo, you'll gain 8 hours due to the time zone difference. Traveling from Melbourne in August, you will find days in Tofo are much hotter (30°C), and nights are somewhat warmer (19°C). Finish your sightseeing early on the 27th (Tue) to allow enough time to travel to Harare. Regarded as the nation's leading commercial, financial, and communications center, Harare attracts tourists with its modern architecture mixed with British colonial influence and traditional African flair. Eschew the tourist crowds and head to Wild Is Life Trust and ZEN and Ngomakurira Mountain. Kids will appreciate attractions like Imire: Rhino & Wildlife Conservation and Twala Trust Animal Sanctuary. And it doesn't end there: stroll through Thetford Game Reserve, have some family-friendly fun at Pole Position Karts, stop by Simpli Simbi, and explore the fascinating underground world of Domboshawa Caves. For more things to do, maps, traveler tips, and more tourist information, read our Harare travel planner. Traveling by flight from Tofo to Harare takes 7 hours. Alternatively, you can do a combination of flight and car; or drive. Expect slightly colder evenings in Harare when traveling from Tofo in August, with lows around 9°C. Finish up your sightseeing early on the 31st (Sat) so you can travel to Livingstone. Eschew the tourist crowds and head to River Rafting & Tubing and Kayaking & Canoeing. Kids will enjoy Helicopter Tours and Safaris. There's more to do: admire the sheer force of Victoria Falls and take in the exciting artwork at The National Art Gallery, Livingstone. To find traveler tips, other places to visit, maps, and tourist information, you can read our Livingstone day trip tool . You can do a combination of flight and car from Harare to Livingstone in 2 hours. Other options are to drive; or do a combination of train and car. Traveling from Harare in August, plan for a bit warmer nights in Livingstone, with lows around 19°C. 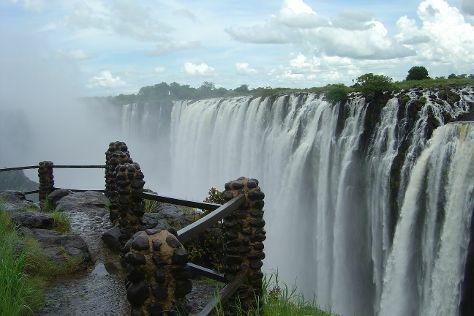 Wrap up your sightseeing on the 3rd (Tue) early enough to drive to Victoria Falls. You'll explore the less-touristy side of things at Walking tours and Siduli Hide. Get in touch with nature at River Rafting & Tubing and Safaris. Next up on the itinerary: discover the deep blue sea with a scuba or snorkeling tour, get a new perspective on things with Boat Tours & Water Sports, look for gifts at Cultural Vibes Music Shop, and tour the pleasant surroundings at Victoria Falls Snake Park. Take the guesswork out of planning a Victoria Falls vacation by using our trip itinerary maker. Victoria Falls is just a stone's throw from Livingstone. Traveling from Livingstone in September, expect nights in Victoria Falls to be about the same, around 18°C, while days are a bit warmer, around 38°C. Finish your sightseeing early on the 7th (Sat) so you can travel to Ngamiland East. 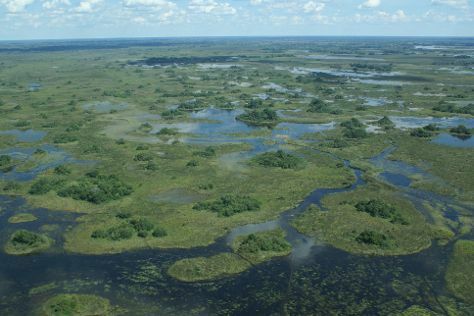 You'll discover tucked-away gems like Moremi Wildlife Reserve and Okavango Delta. To find other places to visit, reviews, photos, and more tourist information, go to the Ngamiland East sightseeing planner. Traveling by combination of car and flight from Victoria Falls to Ngamiland East takes 3.5 hours. Alternatively, you can do a combination of train and bus; or do a combination of car and bus. In September in Ngamiland East, expect temperatures between 39°C during the day and 19°C at night. Finish up your sightseeing early on the 10th (Tue) so you can travel to Chobe National Park. Kick off your visit on the 11th (Wed): stroll through Savute Reserve. Here are some ideas for day two: stroll through Serondela Reserve and then stroll through Nogatsaa and Tchinga. To see maps, more things to do, where to stay, and tourist information, refer to the Chobe National Park trip itinerary planner . The Route module can help you plan travel from Ngamiland East to Chobe National Park. Finish your sightseeing early on the 12th (Thu) so you can travel to Windhoek. Get outdoors at Safaris and NamibRand Nature Reserve. Explore hidden gems such as Deadvlei and Hoanib River. There's lots more to do: explore the striking landscape of Fish River Canyon Nationalpark, examine the collection at Trans-Namib Railroad Museum, buy something for everyone on your list at The Grove Mall of Namibia, and engage your brain at Geological Survey Museum. For photos, where to stay, more things to do, and other tourist information, use the Windhoek trip app . You can fly from Chobe National Park to Windhoek in 4.5 hours. In September in Windhoek, expect temperatures between 34°C during the day and 16°C at night. Finish your sightseeing early on the 16th (Mon) so you can travel to Swakopmund. Eschew the tourist crowds and head to Kayaking & Canoeing and Adrenaline & Extreme Tours. Visiting Spitzkoppe and Dolphin & Whale Watching will get you outdoors. Spend the 20th (Fri) wandering through the wild on a nature and wildlife tour. There's more to do: see exotic creatures in open habitats at a safari tour. For photos, more things to do, ratings, and more tourist information, read our Swakopmund trip planner . Do a combination of flight and car from Windhoek to Swakopmund in 3.5 hours. Alternatively, you can drive; or do a combination of bus and car. Plan for little chillier temperatures traveling from Windhoek in September, with highs in Swakopmund at 24°C and lows at 12°C. Cap off your sightseeing on the 20th (Fri) early enough to travel to Cape Town. Take a break from the city and head to Grotto Beach and Shark Diving. Discover out-of-the-way places like West Coast National Park and Twelve Apostles. Venture out of the city with trips to Kwaaiwater (in Hermanus), Stony Point Penguin Colony (in Betty's Bay) and Suider Paarl (Fairview Wine and Cheese, Cape Brewing Company, & more). There's much more to do: tour the pleasant surroundings at Bloubergstrand Beach, stop by DV Artisan Chocolate, hunt for treasures at Old Biscuit Mill, and kick back and relax at Fish Hoek Beach. For traveler tips, maps, other places to visit, and other tourist information, use the Cape Town online trip itinerary maker . Traveling by combination of car and flight from Swakopmund to Cape Town takes 5.5 hours. Alternatively, you can drive; or do a combination of car and bus. In September, daytime highs in Cape Town are 23°C, while nighttime lows are 11°C. Wrap up your sightseeing by early afternoon on the 27th (Fri) to allow enough time to travel back home.